Hope everyone enjoyed and are motivated by that historic and magnificent evening of sport on Saturday night! 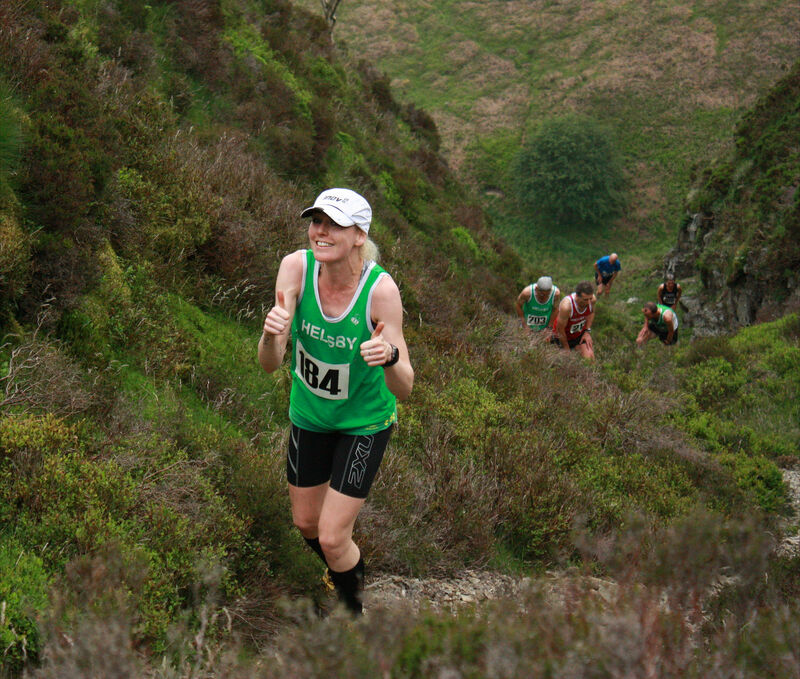 Following on from Wednesday’s popular Pie and Peas race Thursday night saw Jayne, Jimmy and Adair at race number three of the Deeside Multi-Terrain off Road Grand Prix. A solid performance by Jayne saw her first lady home, picking up another bottle of wine in the process and hopefully cementing her position as 1st senior lady for the series. Awards will be given after race 4 in September. Credit also to Jimmy who biked to and from the race! With marshals directing people the same way and with all gates open this time there was no lengthened course like on race 2. Thanks to Joe and Mario and Janet and Geoff Shaw for support on the night. 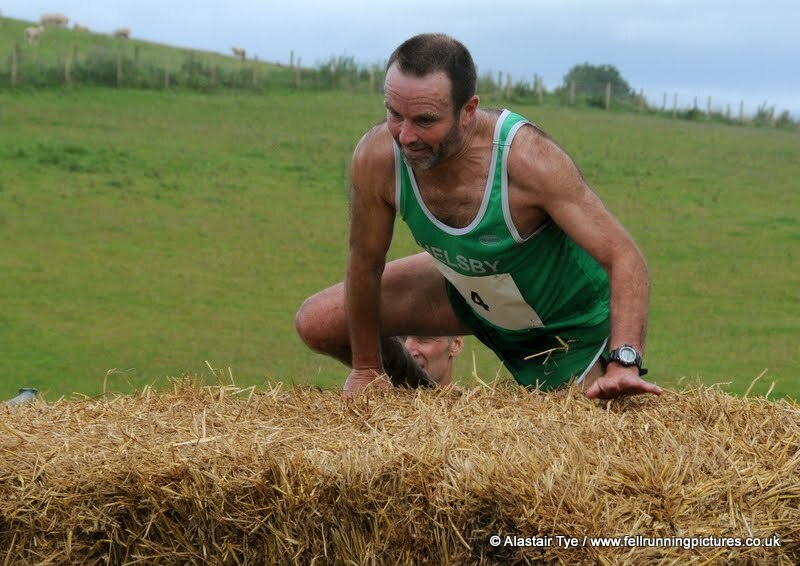 ‘In anticipation of a golden night for British sport, I decided to get my weekend race in early, so at 08:00 on Saturday morning I set off for the small village of Timble in the Yorkshire Dales. Driving closer to the village the terrain felt very much like that of last year’s fell relays in Kettlewell; rolling hills and sporadic sunshine. Quiet elsewhere which hopefully means people were either training hard or resting easy for Wednesday night’s Inter-club race at Whittle Pike. We are currently leading the Inter-club competition but only just! With some key runners missing on Wednesday it will be good to have as many out as we can. This is the Spectrum Striders designated race. 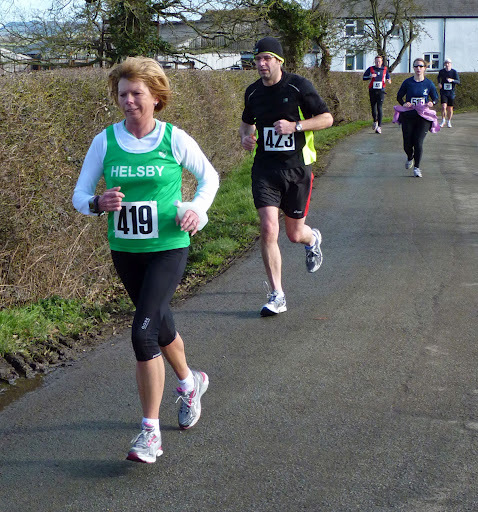 Also, don’t forget it’s Helsby’s 8th Fell Counter of the season. Don’t forget you still have time to sharpen up the legs with Track training Helsby High School Monday nights start time 6.30pm. but other Helsby members had also been active elsewhere. 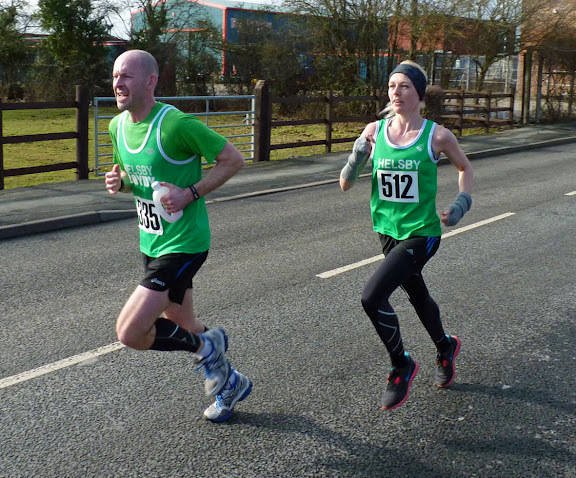 Great performances in what is surely the wettest marathon on record in Manchester on Sunday saw Colin Thompson with a magnificent 3.13.10 which placed him 208th out of 5000 or so runners. Colin has been improving massively and this result highlights that fact! Helsby also saw Dave Madders under the magic 4 hours, and a great run from Dave saw him with 3.46.41 which shows his ironman training is really paying off. Chris was also in the Fellsman this weekend, just a mere 61 miles, Results and route below, Chris in 80th, great effort!